Turkey’s Gone. Time to Move on. Turkey's Gone. Time to Move on. Meet Dr. Matthew Tripp, the Chief Scientific Officer of Synergy/Nature’s Sunshine. Dr. Tripp came to Synergy with a vision and with specific goals. He is an expert in nutrition with a passion for improving public health. What he has planned for the future of this company is nothing short of exciting. Watch this new video (below) to get to know Dr. Tripp, and hear about the steps he’s taking with Synergy WorldWide to change the world. Additionally, the Customer Service department will close at 6 pm MT on Wednesday, November 26th (as opposed to the regularly scheduled 8 pm closing). Normal hours of operation will resume on Monday, December 1. As a reminder, online ordering and enrollment will continue to be available through Synergy Pulse. Most importantly, The team at Synergy WorldWide HQ offers its sincere gratitude for our Team Members and customers throughout North America. We hope each of you enjoy a safe and cheerful Thanksgiving! 2014 Synergy Recognized as "Healthiest Company" Again! 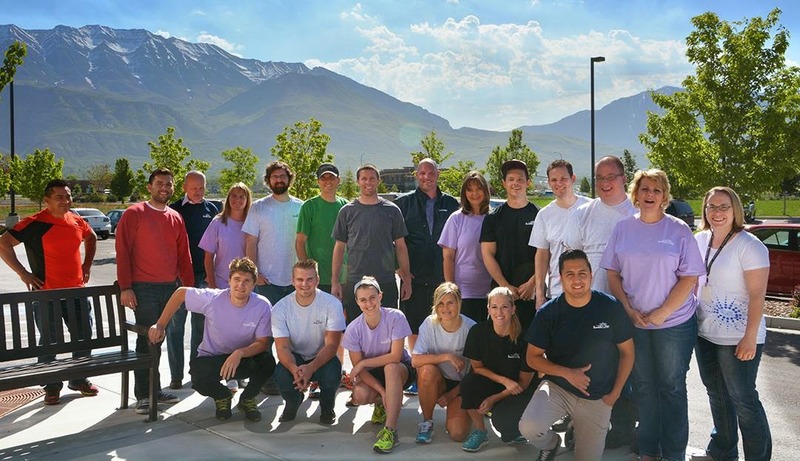 Synergy Recognized as “Healthiest Company” Again! For the seventh year in a row, Synergy WorldWide/Nature’s Sunshine was named by Interactive Health as one of “the Healthiest Companies in America.” International Health (IHS) evaluates over 1,400 companies each year, and in 2013, only 68 companies nationwide earned this recognition. And if that weren’t enough, NSP/Synergy is one of just three companies in America to earn this award seven years in a row! “We are proud to again honor Nature’s Sunshine with the Healthiest Companies in America award,” said Joseph O’Brien, Interactive Health President and CEO. “These organizations have created a culture of health that goes beyond helping at-risk employees improve health. They have found creative ways to make achieving individual and corporate wellness goals fun,” he said. Employees choose the programs and activities they want to participate in and get rewarded for it. The program works too! A large number of Nature’s Sunshine and Synergy employees have shown improvements in key areas, including lower blood pressure, lower LDL cholesterol and triglycerides, and improved blood glucose levels. 2014 Synergy Recognized as “Healthiest Company” Again! The Emerald City— home to the Space Needle, the Pike Place Fish Market, the Seattle Seahawks and several of Synergy’s top earners. This is the best place to be on Tuesday, December 2nd, as Presidential Executives Paul Blad and Rudy Pedroza, and Emerald Executive Bart Woodcook host a very special meeting for you and your guests. Here you’ll have the chance to meet the remarkable Drew & Lynn Manning of Fit2Fat2Fit.com. Drew & Lynn are ready to share their unique and powerful story with the Pacific Northwest. 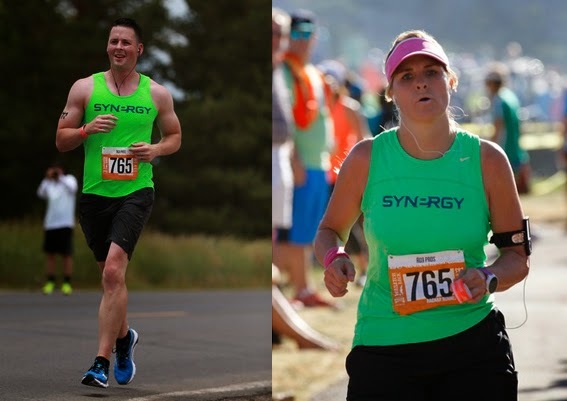 This couple has inspired thousands of people to improve their lives and their health, and they’ve teamed up with Synergy to provide powerful solutions for anyone looking for a positive transformation. 16500 Southcenter Pkwy, Seattle, WA 98188. Mark this on your calendar, share the news with your friends, and don’t miss this event! For more information, contact Synergy Customer Service at 801-769-7800. Hakan Cetin, one of Synergy Europe’s most influential leaders, has taken has business one step closer to Presidential Executive and is Central Europe’s first-ever Diamond Executive. Hakan found network marketing at the age of 25 as he was eight semesters into his studies at Dortmund Technical Institute for Chemistry. He was hoping to find a financial path that would give him the flexibility to enjoy his life rather than work his life away. He joined three companies that are now out of business. Just as Hakan was deciding to end his career in network marketing for good, his friend and sponsor William Martin was calling him again and again to share the Synergy WorldWide opportunity. Hakan finally listened to William’s proposition the sixth time he called and was intrigued by what William had to say. Upon learning about Synergy’s stability and strong partnership with Nature’s Sunshine, he decided to activate. One week after becoming a Synergy distributor, Hakan flew to the U.S. to meet his upline and sit down with Synergy Founder Dan Higginson. Hakan said he knew from his first week as a Team Member that Synergy WorldWide was special; that is was a company that could stand the test of time because of its values, philosophy and, of course, the amazing products. Hakan started a daily ProArgi-9+ regimen seven years ago and feels younger now than he has “in over a decade.” Seeing the impact Synergy products have in not only his life, but the lives of those he shares them with makes life fulfilling. Each new testimonial he hears confirms that Synergy WorldWide is here to stay. He is convinced that Synergy can become one of the next billion dollar businesses in the network marketing industry because of its solid foundation. Hakan acknowledges the September 2014 launch of SLMsmart and e9 in Europe as it addresses two of the largest needs in the world – weight management and energy. “The results that Germany, Austria and Slovenia saw following the launch are directly correlated to these phenomenal products,” Hakan said, “but the momentum is just beginning.” He encourages all Team Members to really push themselves these next few months with the new products because amazing things are bound to happen. The unwavering work ethic that Germany and Austria has showed this year, including Hakan’s tremendous team and their efforts, propelled Hakan to the Diamond Executive position. He thanks everyone in his network for helping him to this new level of success. He also credits his wife who is his biggest supporter for helping him achieve his goals and dreams. Though William Martin passed away in 2014, Hakan remembers him often and thinks about the drastic difference this man made in his life and the lives of thousands more. Hakan’s most recent goals have been far exceeded, he said, and he is very proud of the team in Central Europe overall which had 159 rank advancements in October 2014, including two Pearl Executives. His long-term goal is to help 10 people reach absolute financial freedom by December of 2016. Some of you may have noticed a very little change within your ProArgi-9+ containers. Don’t be alarmed! The scoop hiding inside has been slightly shrunk, and if you look closer (really close… like with a microscope) you will see that there has been one other change made as well: each particle of ProArgi-9+ is now slightly smaller than before! Why the change? The great minds on our world-class Quality Assurance Team have chosen to manufacture ProArgi-9+ into smaller particles so that it’s more mixable, and so that it more smoothly pours out of the single-serving packets. Smaller particles need a smaller scoop, therefore the old 14.7cc scoop has been replaced with the new 13cc scoop. The ingredients have not changed and the formula is as potent and powerful as ever. The servings are carefully calculated to work with optimal efficacy in the average consumer. The weight of each unit is the same… but the new scoop and new particle sizes are just two more parts of ProArgi-9+ worth being excited about. Note that the change in scoop and particle size was officially made in June and has been gradually implemented across the spectrum of flavors and container sizes until finally making its way into a container near you. Some of you may have been enjoying the new particle size for months now without ever noticing!